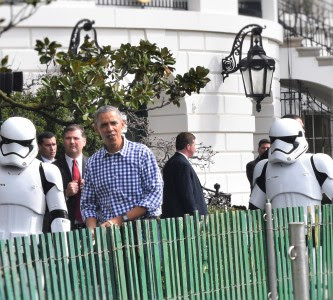 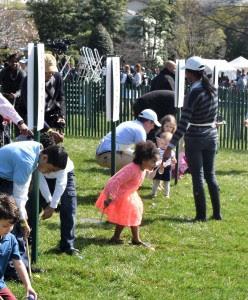 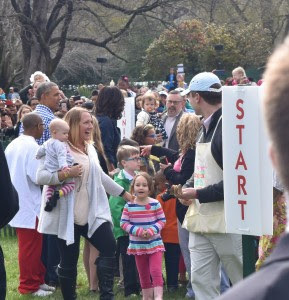 WASHINGTON, DC (Herald de Paris) — Today marked the 138th Easter Egg Roll at the White House. 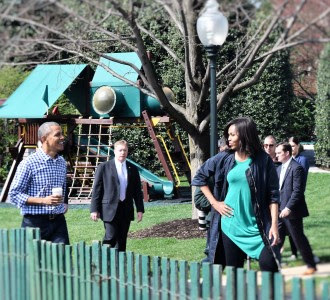 First Lady Michelle Obama told the crowd of 35,000 it was, “Bittersweet,” for the Obamas as a family, as it was to be their last Easter at the White House. President Obama was brimming with swagger or as the British would say, “In fine form,” waving gleefully at every turn. 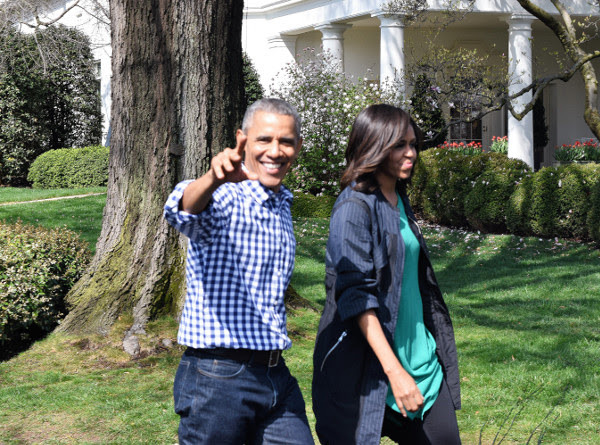 Clearly, the recent trip to Argentina stood the President in good stead as he was looking svelte in dark blue jeans, and a dark blue gingham shirt. 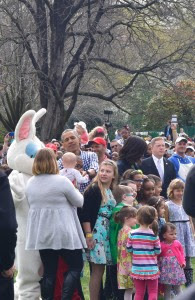 A hit with the children, squeals of delight were heard across the South Lawn as Mr. Obama roared like a wild thing when he read the children’s story, Where the Wild Things Are. 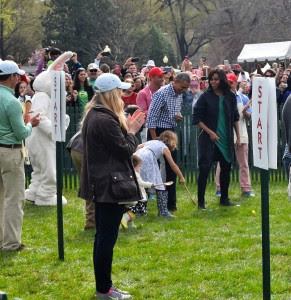 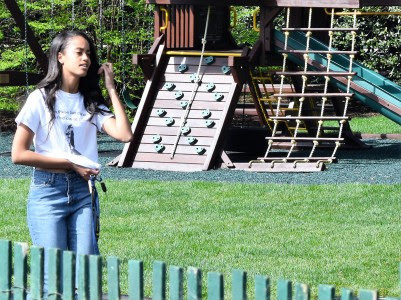 Malia Obama was also to be seen as were the two Presidential dogs, Sunnny and Bo.